Being part of something larger than my own company is an important spring board for gathering and sharing ideas that may not only benefit me and grow my company, but also develop comradery with industry professionals who care as much as I do about the moving industry. It is important to be a member because I am only one person and cannot educate myself alone about every piece of legislation that is so important in the industry. Understanding Statute 507 can be confusing and intimidating. Being a member means I don’t have to go it alone, my peers are there to assist me in my quest for knowledge, compliance, and education. I know the membership dues can be a bit steep and can cause a little cash flow problem for micro businesses such as mine. BUT, there is safety in numbers. The more members PMAF has, the stronger we are. Tallahassee listens to the masses. 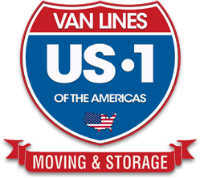 With an increased presence, we CAN make a difference in the moving industry. I know you are dealing with rogues and with shippers who are “gun shy” because they have had at least one horrible move. To gain a potential customer’s trust, this membership can very well pay for itself with one move. People are more trusting if they feel there is a safety net, a reason to use a PMAF member instead of just another company. Because my company is a member, I am held to a higher standard than “the other guy” - that gets more than my foot in the door. It makes me stand out from others, because I have to adhere to a Code of Conduct (and THAT can land the job). I know if you have questions, you can Google it for free as opposed to spending your hard earned company cash. But if you’re spending your days trying to figure this or that out, are you giving your customers the personal touch they need and deserve in their time of incredible stress? Or are you spending your evenings searching for the answers you couldn’t get during work hours? With membership, there are no guesses, no wasting precious time figuring it out on your own. Membership means sending the association an email or picking up the phone to talk to a peer member – and getting an answer in minutes instead of hours or even days. And, when you’re stuck using Google, do the articles even apply to the State of Florida? Remember, we have some pretty strict statutes compared to others. What you’re reading may quite possibly not be acceptable practices for us. My company has been a member since 2004 and I cannot tell you how many times I have picked up the phone with those questions I could not find or did not know answers to. PMAF has been my “go-to” for all these years. What I can tell you is I have been in some trying situations over the last decade and a half and boy, has PMAF helped! Between education and quality industry conversation, coupled with legal support, I would never be without them. Bottom line – this is an amazing opportunity to be a part of something much bigger than “just you and your crews”. Believe in it, believe in us as your professional sphere of influence, a friend in the trenches so to speak, and you’ll wonder how you ever got along without us.